The engineers at Skunk2 Racing have worked tirelessly to develop the next generation of high performance intake manifolds and are proud to announce the release of the much anticipated Ultra Series Intake Manifold. 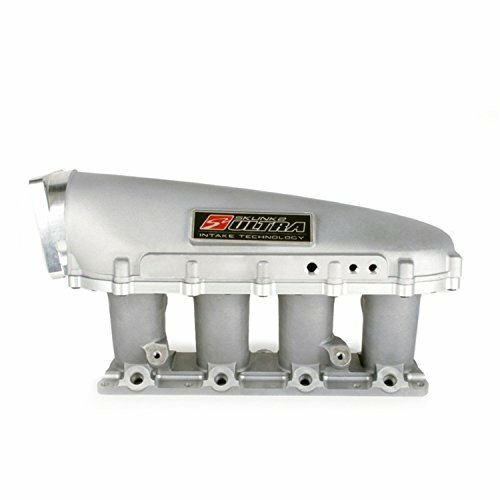 Buy Skunk2 (307-05-8000) Ultra K-Series Silver Race Intake Manifold at Discounted Prices ✓ FREE DELIVERY possible on eligible purchases. Skunk2 Racing warrants all products to be free from defects in materials and workmanship for normal use and service, regardless of mileage, for a period of time not to exceed 12 months from the original date of retail purchase. Parts returned must be determined by Skunk2 Racing to be defective prior to any warranty credit or replacement is issued. Skunk2 Racing's obligation under warranty shall be limited to repairing or replacing, at its discretion, any part proven defective. The customer must prepay transportation charges. Final determination of the suitability of the products for the use contemplated by the buyer is the sole responsibility of the buyer.